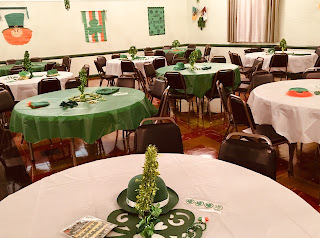 The Irish Center is all decked out for our St. Patrick's Events. Come join us on Saturday for our After Parade Party and on Sunday for our annual Ham & Cabbage Dinner (See our Events Page for all the details). 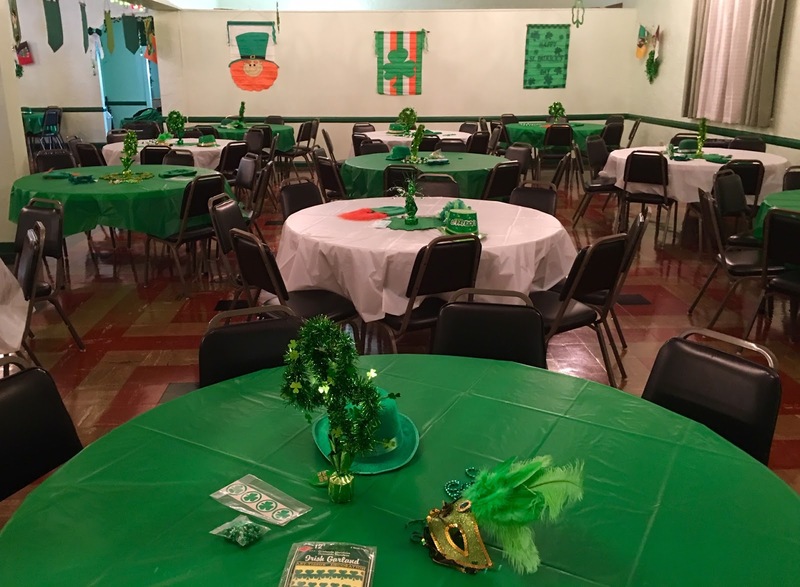 Bingo will be held on Wednesday, February 27, in the Irish Center's PUB. Doors open at 7:00 P.M. and games begin at 7:15 P.M. The PUB will be open Wednesday nights from 7:00 to 10:00 P.M. 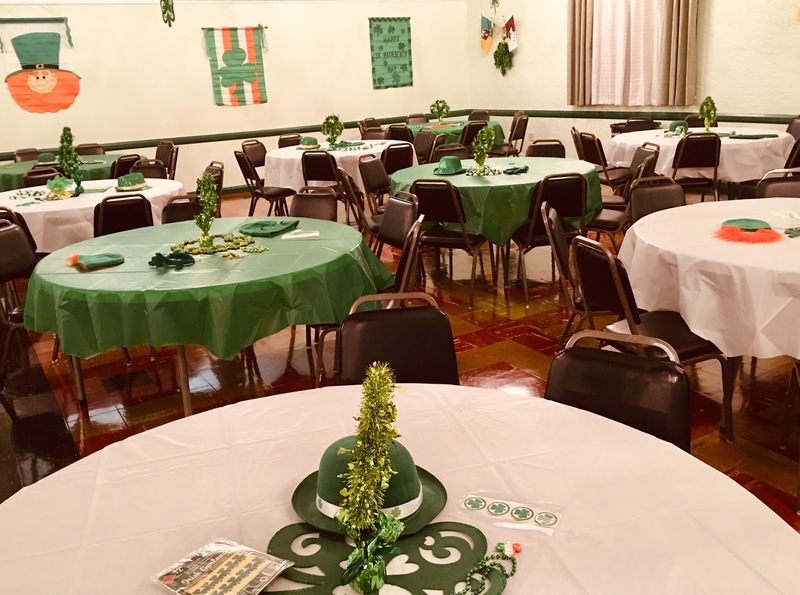 The New Castle County Irish Society “Erin Award” is presented each year to a member to honor his or her dedication and service within our Club. 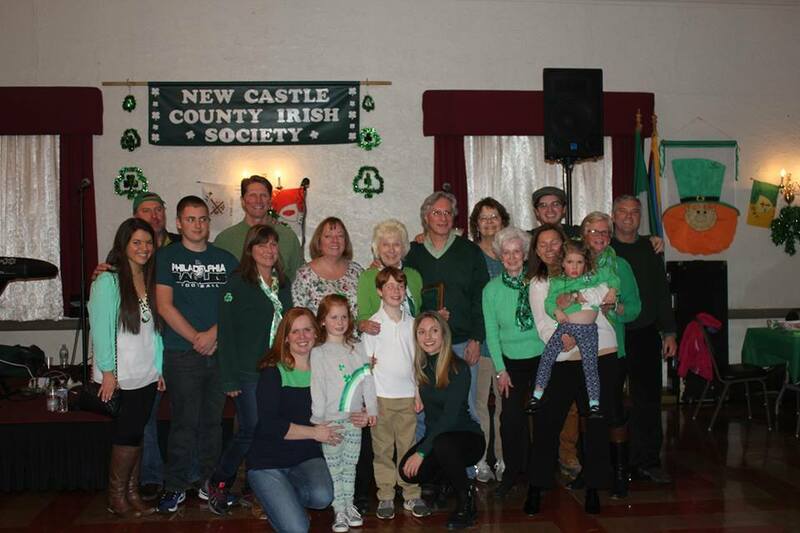 The “Erin Award” for 2018 has been awarded to Theresa Meren for her dedication and contributions to the promotion of Irish Heritage and Culture Theresa is a Charter Member of the NCC Irish Society and has served on the Club’s Board of Directors and many of the Committees in the past. 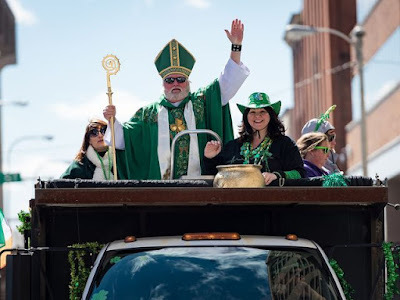 She enjoys taking Irish Dance lessons on Wednesday evenings, is a regularat our monthly Ceili and has been a volunteer for many years in “Annie’s Tea House” at our Fest. Theresa always has a smile and a cheerful greeting for everyone she meets and shares this with Ed, her husband for over 60 years, and their 6 children and 8 grandchildren. Theresa, the Irish Society wishes to thank you for your dedication and the time you spend with us. 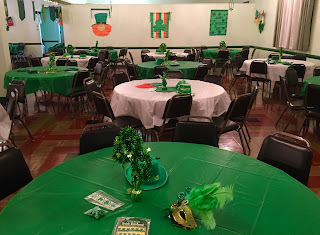 the 2018 Erin Award at the NCCIS “After Parade Party” on March 10, 2018. 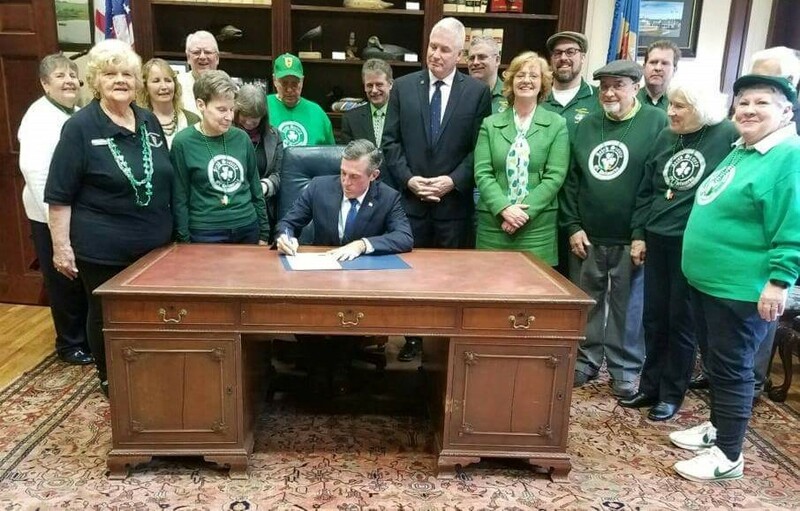 March 2018 - "Irish Heritage Month"
On March 1, 2018, John Carney, the Governor of Delaware, declared March "Irish Heritage Month". All of the Irish organizations in Delaware were invited to the Governor's office for the reading and signing of the Proclamation. 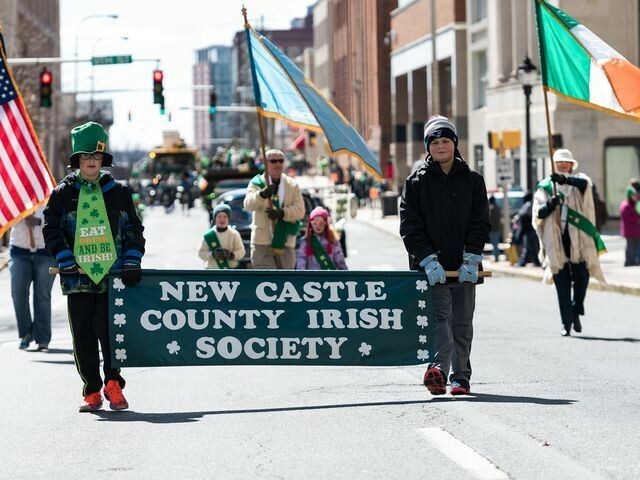 Representing The New Castle County Irish Society were our President, Phyllis White Pini, Secretary, Cathy Jones, and Bill Hickey. It was a cold day in Wilmington, but it didn't stop our members and dancers from marching up King St. in Wilmington.